Nearly as much fun as singing, is listening – to some fantastic quartets. This year’s LABBS quartet prelims took place in Birmingham on 23 June. 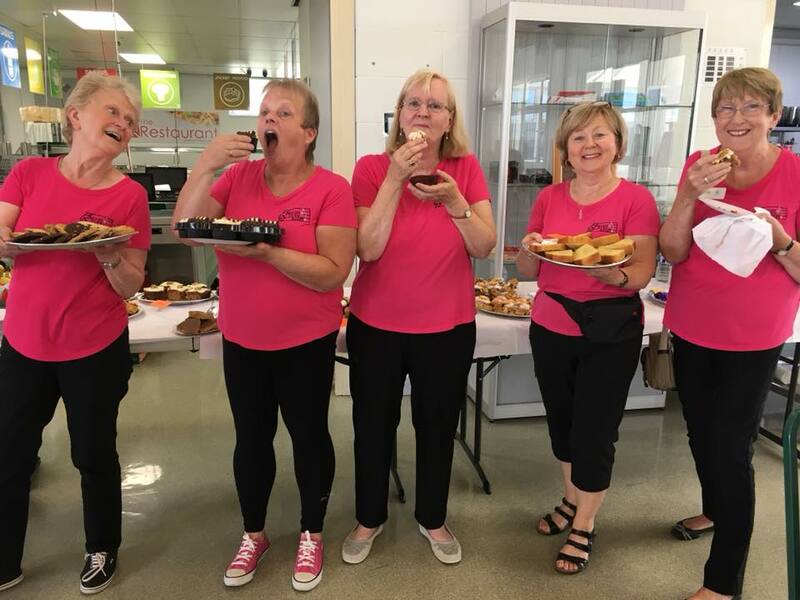 Although both our quartets (Jiggle and City Girls) are taking a break from competition this year, we showed our competitive spirit and Brummie hospitality with a fine display of home-made cakes. 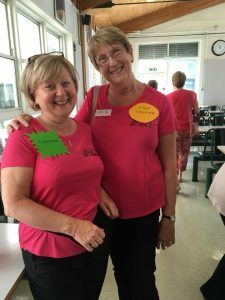 There may also have been a little bit of singing going on in the kitchen. Congratulations to all the quartets who qualified and will now compete at the LABBS Convention in Harrogate, in October. 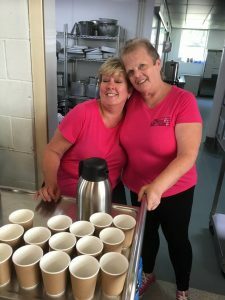 Mandy and Elaine making hundreds of cups of tea!